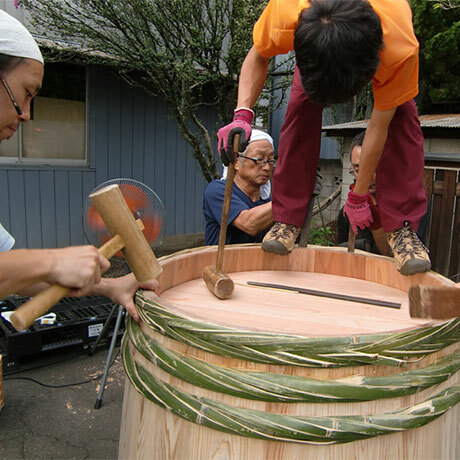 We started a new project while preserving our tradition. 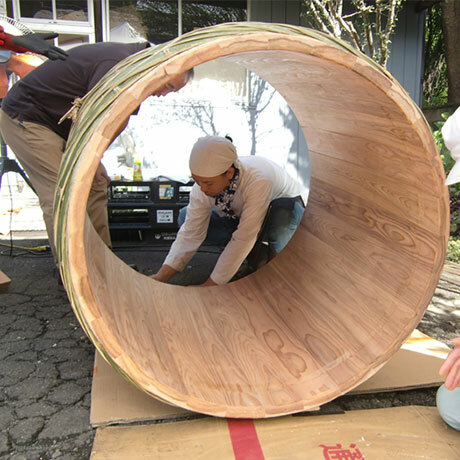 It is the “KIOKE PROJECT”. 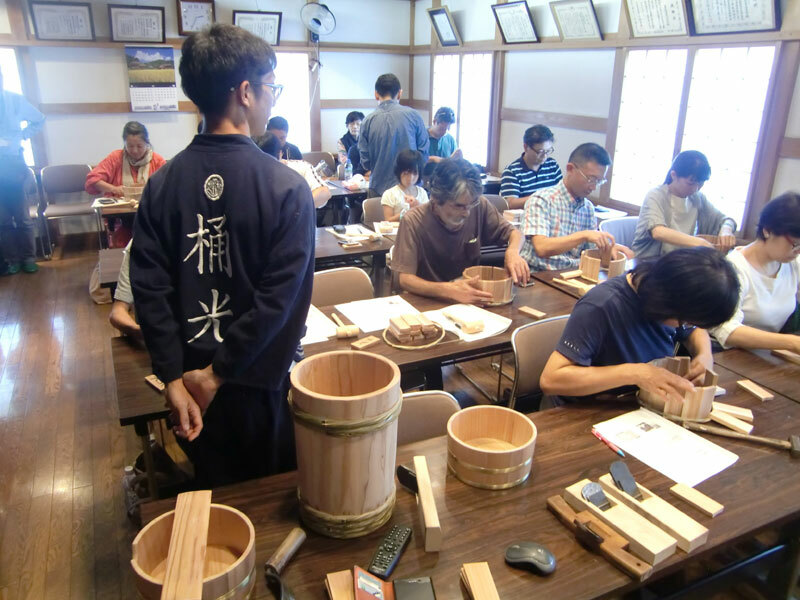 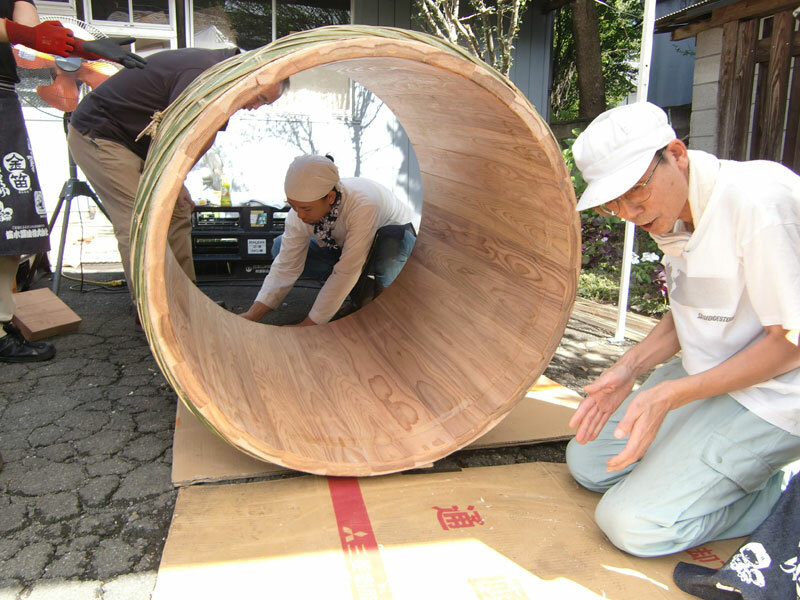 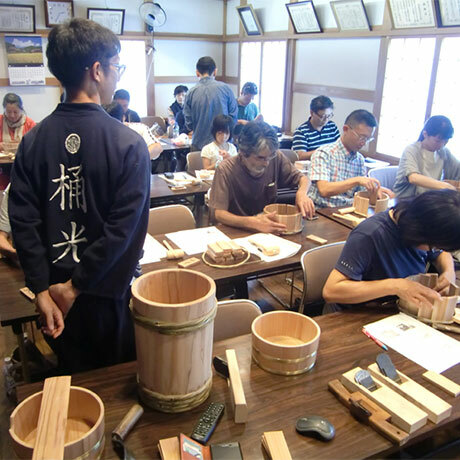 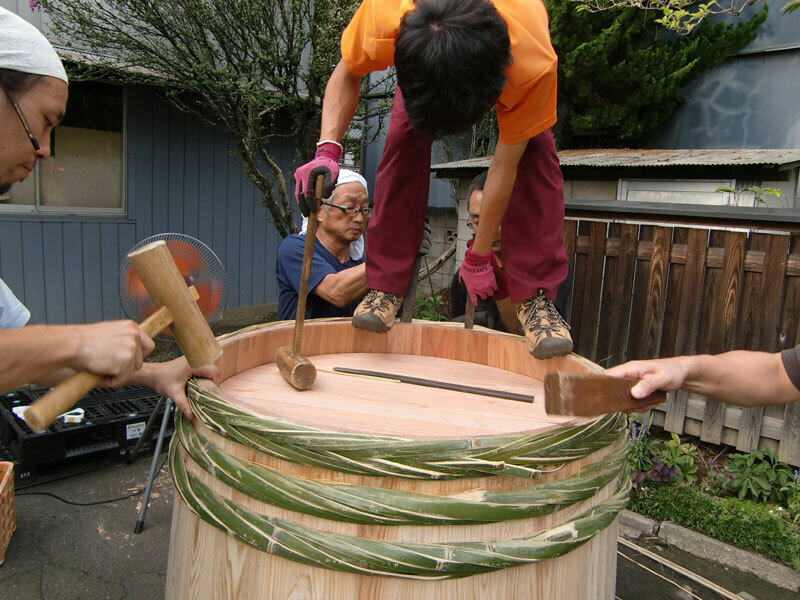 The number of barrel-building craftspeople is decreasing, and now there are only about 60 left in Japan. 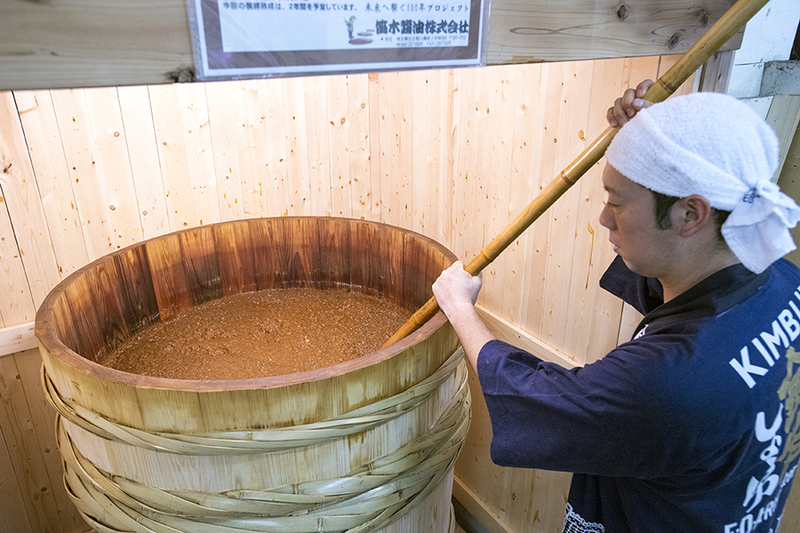 If we do not have good coopers, we can not make good soy sauce as before. 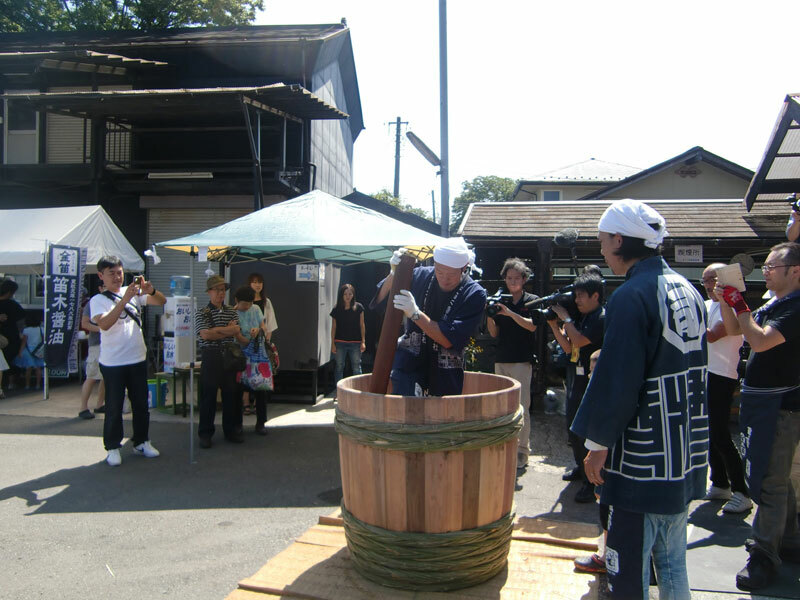 That is why we started the“KIOKE PROJECT”. 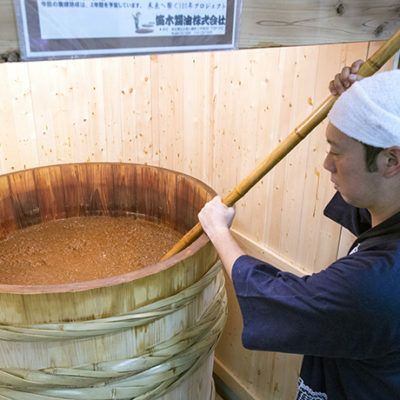 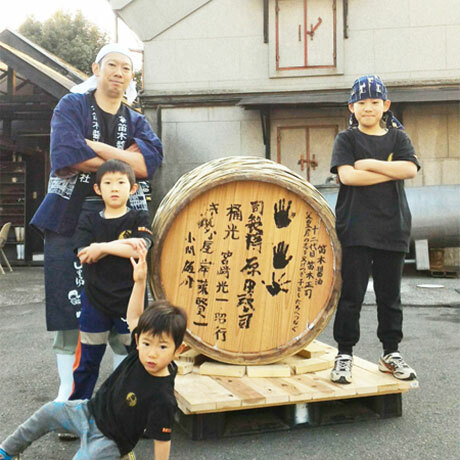 In 2016, for the first time in 50 years, to make a new wooden brewing barrel, that is the “KIOKE”, we gathered four craftspeople from various parts of the nation. 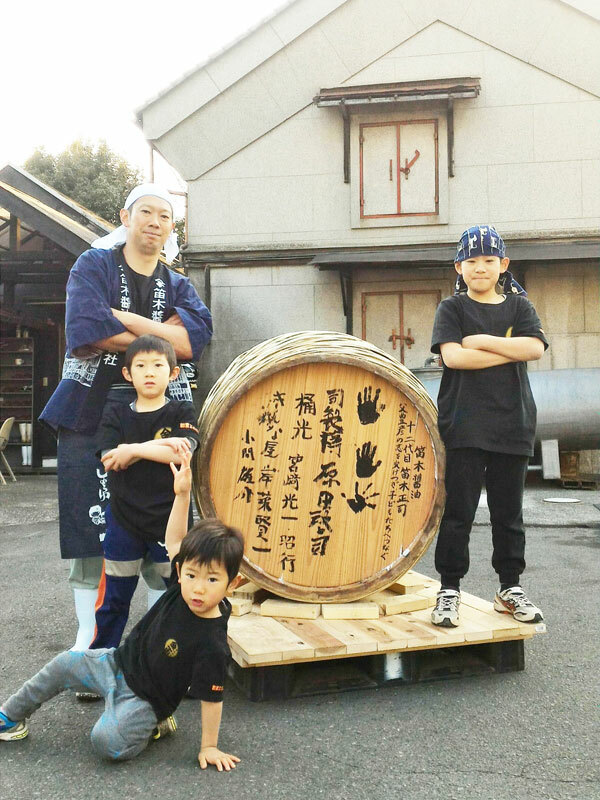 And, in 2017, we made a new wooden brewing barrel and started a workshop to make a small barrel. 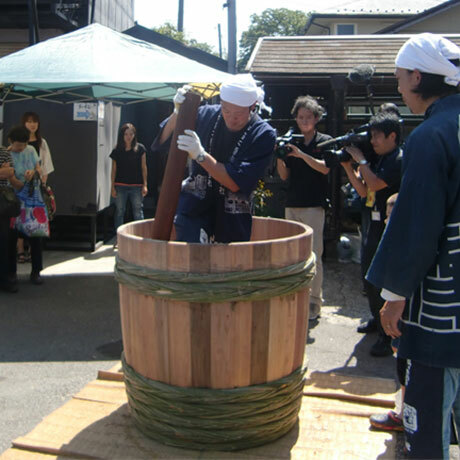 In addition, we organized an public event to provide opportunities for people to become interested in the job of building barrels.